Family-friendly historical stage-show about dinosaurs, all the way from Australia. 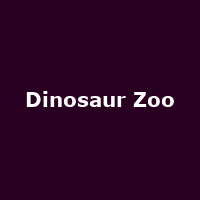 "Direct from Australia, Erth's Dinosaur Zoo brings these awesome pre-historic creatures to the stage as you've never seen them before! Discover all about dinosaurs in this entertaining and highly imaginative live show - plus get up close and personal with them on the picnic lawn after the show."